The Trump family and its foundation are trying—again—to argue that the New York attorney general’s office is pursuing allegations of self-dealing against them for purely partisan reasons. The most intriguing current investigation involving President Trump grows out of the Michael Cohen probe (which itself grew out of special counsel Robert Mueller’s probe). That’s the U.S. Manhattan Attorney’s office investigation into Trump’s 2017 inaugural committee, which was hit this week with a wide-ranging subpoena for documents related to donors, event attendees, vendors, contracts and more. 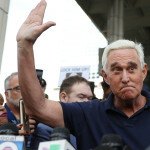 In a pair of Friday court filings, lawyers for Roger Stone requested that a new judge be assigned to oversee his case and pledged to fight any attempt to impose a gag order. As Josh Kovensky and I reported, Donald Trump’s 2017 inauguration transgressed the degree of sleazy billionaire access-peddling that has become standard at presidential inaugurations. A provision tucked into House Democrats’ landmark HR1 bill would put an end to all of that. The “Presidential Inaugural Committee Oversight Act” received little attention given all the other voting rights and campaign finance reform proposals stuffed into the 571-page piece of legislation. 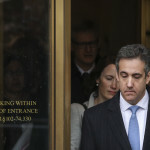 A New York federal judge has agreed to publicly release materials related to Michael Cohen’s search warrant — but will keep some details redacted to avoid unmasking subjects and evidence that prosecutors are still pursuing. Paul Erickson, the longtime GOP operative and boyfriend of admitted Russian agent Maria Butina, has been indicted by a federal grand jury on 11 counts of wire fraud and money laundering. The U.S. Attorney’s office in Erickson’s home state of South Dakota brought the case, alleging Erickson ran a criminal scheme through a chain of assisted living homes and defrauded investors through a separate company. Erickson pleaded not guilty at a Wednesday arraignment. The case appears unrelated to the foreign agent indictment brought against Butina by in Washington, D.C. last year. Prosecutors in the D.C. case identified Erickson as the conduit between Butina and top officials in the world of GOP politics, including at the National Rifle Association. Butina pleaded guilty to one conspiracy charge in that case in December, agreeing to cooperate with the investigation. Read the full indictment against Erickson below. A lawsuit alleging that Michigan’s GOP-controlled legislature engaged in partisan gerrymandering is heading to trial Tuesday after a panel of federal judges rejected efforts by Democratic Secretary of State Jocelyn Benson and plaintiffs to settle the case. 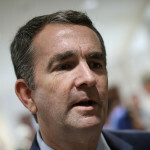 In a remarkable Saturday press conference, Virginia Gov. 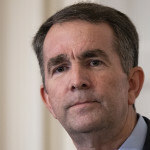 Ralph Northam insisted he had nothing to do with a racist photo discovered on his medical school yearbook page, but acknowledged he’d donned blackface on another occasion.